I like organization in my home and with that comes the question of where I can hang all of my lovely pictures of family and friends without it looking cluttered and messy? For my home specifically I like having them on a big wall. In our old house I hung them gallery style and rotated them constantly. It was one of the things that I received the most compliments on. Personally though it would drive me crazy because the frames would tilt or slant and my eyes would zoom in with crazy laser vision and I would constantly have to fix them. 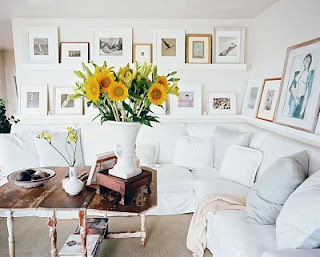 For the new house I want to do something similar, however I will modify it and am down to either larger frames of the same size making it easier to keep them "perfectly" alined or picture ledges so that I can lean them and rotate them without even touching or putting new holes in the walls. 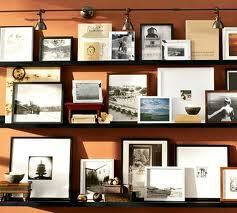 I am leaning towards 3 picture ledges, and am quite in love with the idea. I would use actual photos instead of art, but I would mix some of that in too. I think either way it is just lovely. What do you think, which one would you do? I do like both. 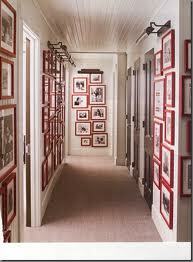 I have a small gallery wall in our hallway and it used to drive me crazy if the pics were uneven. I added a little tacky putty to the corners of the frames and now I have no problems. 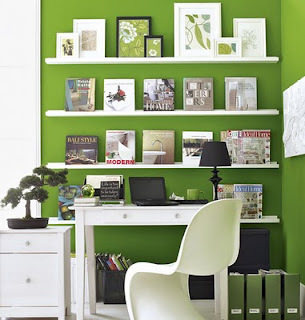 I do like the flexibility of the ledges and the freedom to change things up. Hi Amy, what a great suggestion with the tacky putty! I can't believe I didn't think of that. I'm going to take that in to account. Hi Beau Lifestyle, thank you for coming by and following. 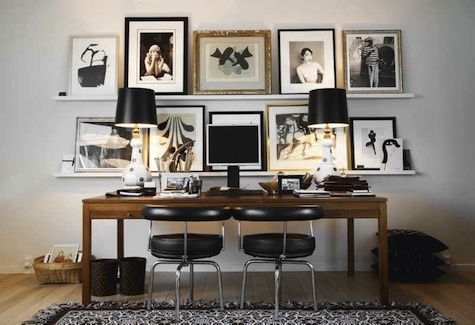 I too went to your blog and love it, especially your apartment! Wow. I will be following you as well. 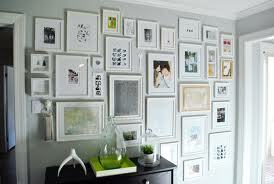 Hi Katie, I too love both "sigh" it looks like picture walls come in a strong 1st place so we'll see. I'll be sure to post the results. I like both...but I know my husband would say ledges because he's the one that hangs stuff. Ledges are a little more flexible in terms of adding and making a few changes. Plus I love the propped look with something smaller in front. 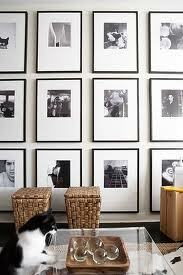 BUT, I do love collage walls too. 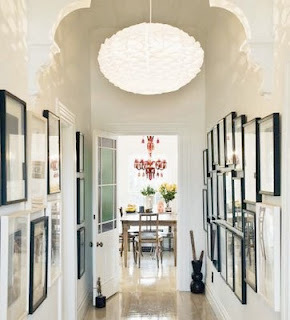 I love the idea behind your blog...my next house...this will be my motto!